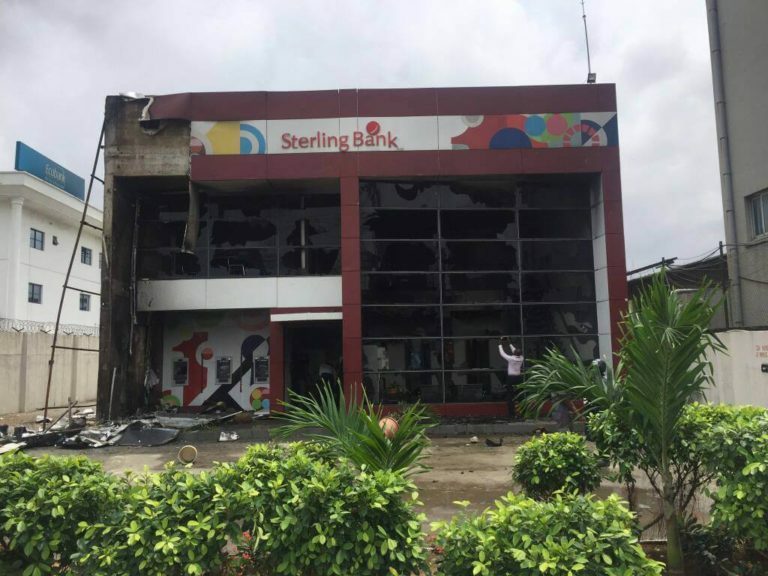 Operatives of the Rapid Response Squad have dispersed an angry mob who set a Sterling Bank branch on Wharf Road, Apapa area of Lagos ablaze today. 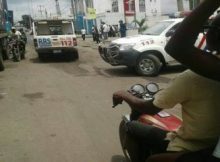 The incident reportedly happened when a police officer allegedly shot dead a trailer driver. Other trailer drivers immediately mobilised and parked indiscriminately in front of the bank, demanding for the offending officer. 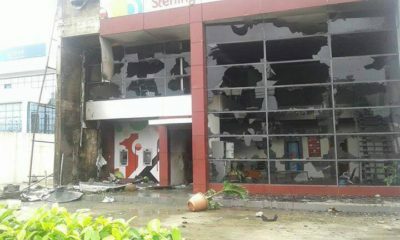 Failure to produce the officer by the bank’s staff reportedly led the slain driver’s colleagues to set the bank ablaze. 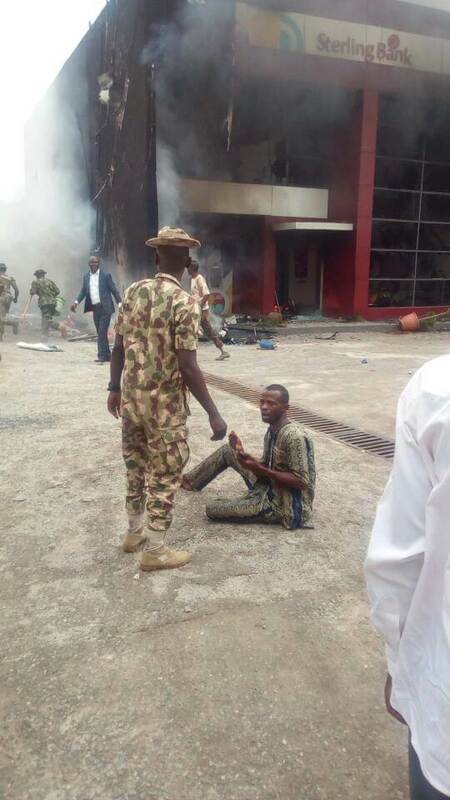 The mob also destroyed properties and other valuables. 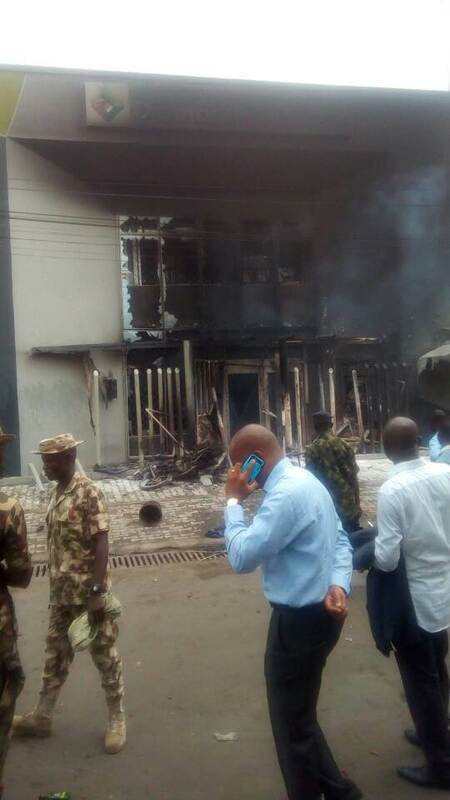 A Diamond Bank on Burma Road was also set on fire and area boys reportedly took an advantage of the situation to loot and cause mayhem.